Software testing has always faced large volumes of work and short timeframes. To get the most value for your testing dollars, test automation is typically a critical component. However, many teams have attempted to add test automation to their projects with mixed results. To help increase the likelihood of success, the approach to automation must be from the practical perspective that automating testing, effectively, is not easy. 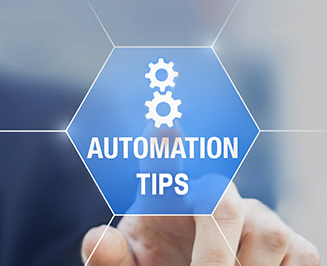 Here are 8 test automation tips for project managers. Increase test availability (rapid and unattended)? Extend test capability and coverage? There are many options and possible combinations of tools and scripting languages. Take some time to review the options and find the best fit for your project: confirm the technology fits with your project, look for a skill requirement match with your team, check that you can integrate with your test management and defect tracking tools, etc. Then try before you buy, eg: perform a proof of concept, perhaps using your smoke tests. When starting a new test automation effort, there is often the tendency to jump in and immediately start automating test cases. To avoid this pitfall, it is important to treat the automation effort as a real project in and of itself. Not only will this help ensure the success of the effort, but it will allow you to communicate with other stakeholders what will be automated, how long it will take, and the short and long-term benefits that are expected. Following an Agile approach, you can roll-out your test automation rapidly in useful pieces; making progress visible and benefits accessible as early as possible. This will give you the ability to validate your approaches while demonstrating the value of the test automation in a tight feedback cycle. You are writing code. The same good practices that you follow on the actual project should be followed here: coding standards, version control, modular data-driven architecture, error handling and recovery, etc. And, like any other code, it needs to be reviewed and tested. Garbage in, garbage out. Make sure you have a set of test cases that have been carefully selected to best address your objectives. It is important to design these test cases using reusable modules or building-blocks that can be leveraged across the various scenarios. Additionally, these test cases should be documented in a standardized way to make them easier to add to the automated test suite. This is especially important if you envision using non-technical testers or business users to add tests to the repository, using a keyword driven or similar approach to your automation. Providing test results and defect reports quickly is the most important reason for test automation. Each time you need to run the automated tests, you are reaping the benefits that automation provides. For example, running the test automation in its own environment as part of the continuous integration process will detect any issues related to the automated test cases for the application under test as soon as features and fixes are checked in. Investing in automation requires a significant commitment in the short-term and the long-term for there to be maximum success. For as long as the product that is being automated is maintained and enhanced, the automation suite should be similarly maintained and enhanced. If the test automation solution is well-designed and kept up-to-date with a set of useful tests, it will provide value for years. This entry was posted in All, Automation & Tools, Planning for Quality and tagged agile, bug tracking, data, early testing, release management, smoke test, software testing, test automation, test tools, tool selection. Bookmark the permalink.